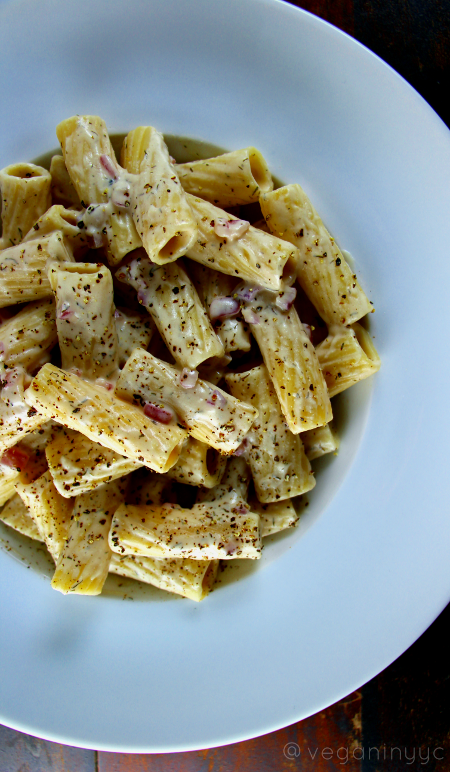 Who doesn’t love pasta with a simple, creamy cheeze sauce? I love spending time in the kitchen; it’s where I find my zen. But there are definitely times when I just want to make something quick and simple, without putting forth a boatload of effort. 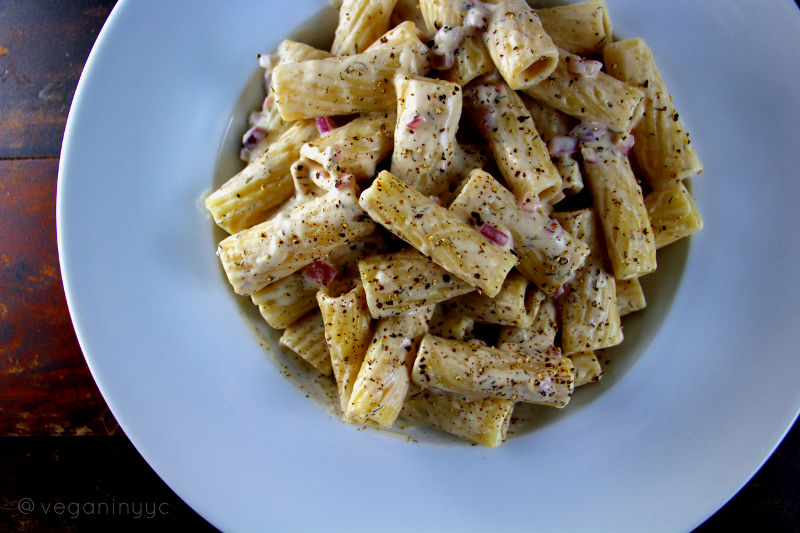 On these days, I’ll pull out recipes like this Pasta & Cheeze sauce. Cook pasta according to package directions. After draining, rinse quickly with lukewarm water (to prevent it from clumping together) and set aside. In the same saucepan, warm the vegetable oil over medium heat, then add the red onion. Cook until the onion is translucent, about 5-7 minutes. Add garlic, and cook for an additional minute. Add a couple tablespoons of the non-dairy milk, then the cashew cheeze. Stir until combined, adding more milk to thin, a tablespoon at a time, until it is a creamy sauce consistency, about 1/4 cup milk total. Add pasta, toss to coat. Taste, and add salt as needed. Serve immediately.